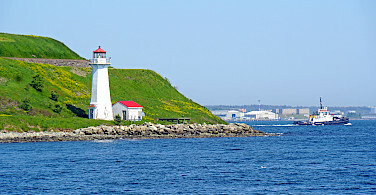 This bike tour in Nova Scotia focuses on what is known as the 'Lighthouse Route", where the past is part of everyday life. The route skirts beaches of white sand and reveals hidden treasures as it leads along the winding coastline. 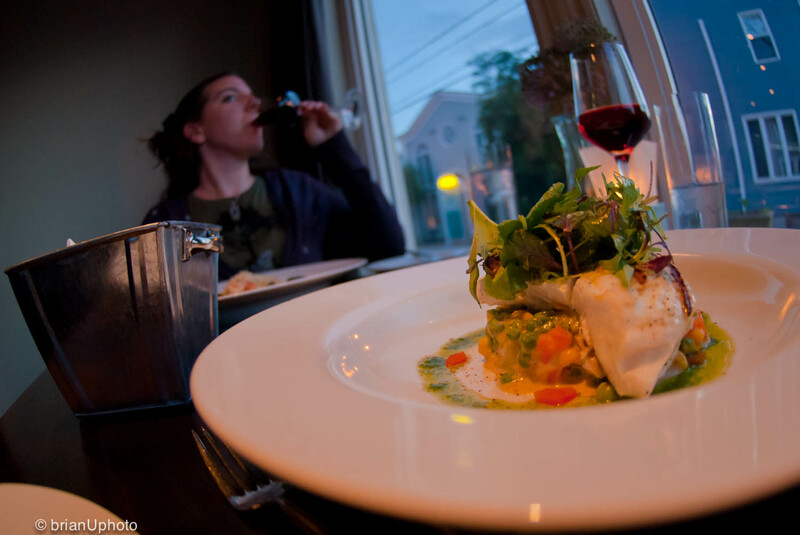 You will discover secluded anchorages, boat builders, artists’ hamlets, secret swimming holes, and little-known cafes. Because this tour is designed by locals, you will bike like the locals immersed in a local and genuine landscape, dotted with historic lighthouses, powerful symbols of the region's past and present. 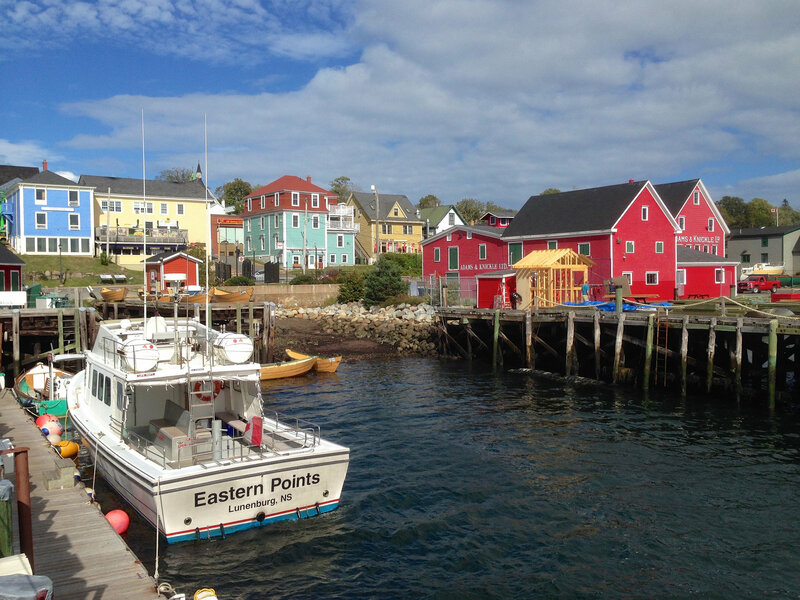 This is a perfect introduction to Canada's coastal charms! In fact this coast was just rated one of the top ten coastal destinations in the world by National Geographic. 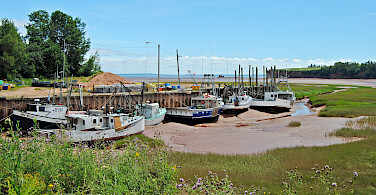 Come and experience by bike the delights of the sea on this bike tour in Novia Scotia. Sales tax of 15% is included in the tour price. 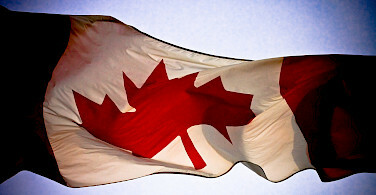 Halifax Stanfield International Airport is located approximately 33km/20mi from the capital city of Halifax. You can take a taxi from the airport to Halifax city center. There is also a metro transit bus line that operates between the airport and the city. Fare is approximately $3.50. 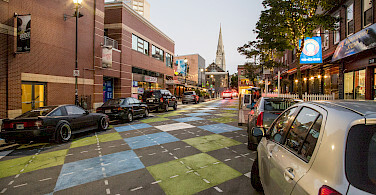 Also, seasonal shuttle bus service (between May 1 and October 31 only) is available to the down town Halifax area via Airport Express. A one-way ticket is $22. From November 1 to April 30 Maritime Bus Coach offers limited service between the Airport to the Westin Nova Scotian Hotel on Terminal Road. Please check local conditions before your arrival. A good website to research average high/low temperatures, average rainfall and other weather related information is weatherbase.com. It should be noted that weather in Atlantic Canada often changes, especially outside the months of July, August and the first half of September. You should pack extra warm and weatherproof clothes if you plan a lot of outdoor activities, especially if these involve being on the water; e.g. whale watching, fishing, or other boat trips. It is difficult to imagine beforehand just how cold it can get on the sea, even on a sunny summer day. Don’t forget a warm hat and some gloves. 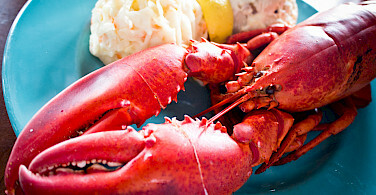 Visit the Halifax farmer’s market, the Maritime Museum of the Atlantic and the Citadel! 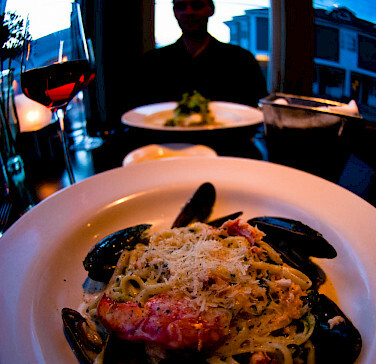 Dine at the Press Gang and the Bicycle Thief in Halifax! Optional extra - an outstanding sea kayak experience! You will receive wonderful tourist information with suggestions on what to do and see and where to dine. 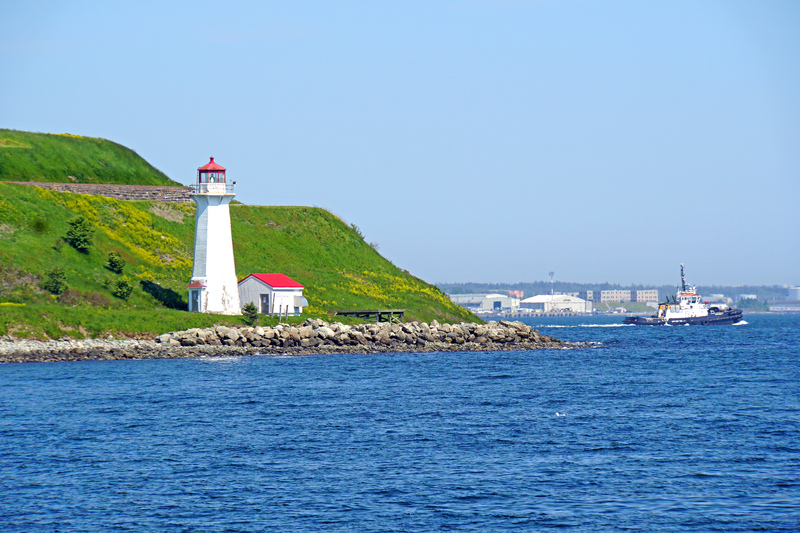 Easy to moderate (depending on options chosen) guided or self guided cycling tour on the Lighthouse and Fundy shores, with a day of hiking to Cape Split, and some longer rides and hikes for for more energetic participants. Optional extra - an outstanding sea kayak experience.The road follows the coast closely most of the time, so swimming, beaches, and good coastal photo ops are all frequently possible. There are short hills, especially on the first day of riding, but they are small, and the route becomes easier as the week progresses. Extended options and abundant side trips are available on some days to extend the distance, if desired. Your accommodations for this tour range from a 5 star bed and breakfast, to a 4 star historic inn, to cottage accommodations all with unique atmosphere reflecting the culture of the South Shore. 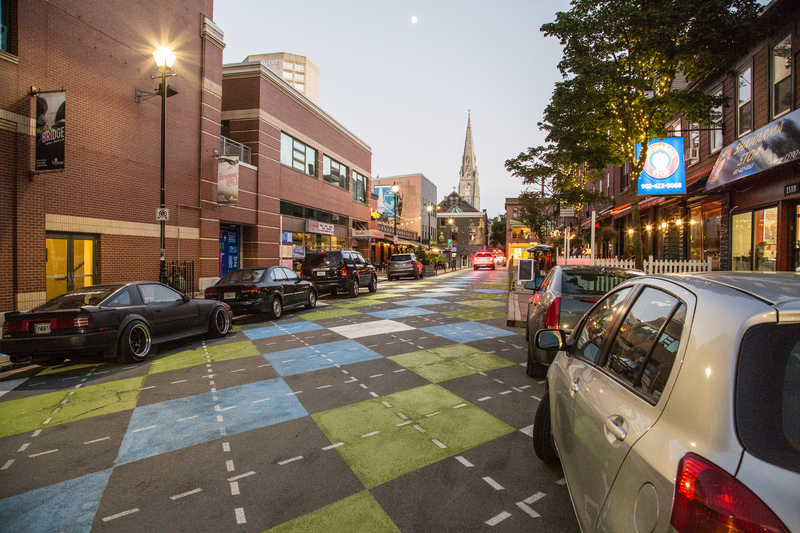 You may want to book an additional night in Halifax before your tour. Day 1: Pick up at the Lord Nelson Hotel in Halifax at 9:30 am. Day 4: Loop around Lunenberg, visit the seacaves and beaches near Kingsburg, 34 mi. 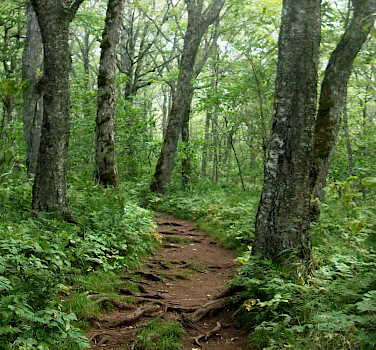 (54 km) Additional hiking available. Optional alternative sea kayaking. Day 5: Loop around Lunenberg, to Mahone Village, 32 mi. (51 km) Additional distance available. Day 6: Ride around the Aspotogan Peninsula, 28 mi. (45 km) Optional sea kayak. Pick up in Halifax for a one-hour transfer to Wolfville. Visit the Acadian site of Grand Pré, the inspiration of Longfellow’s Evangeline, and learn why Acadian culture has influenced so much of the world. 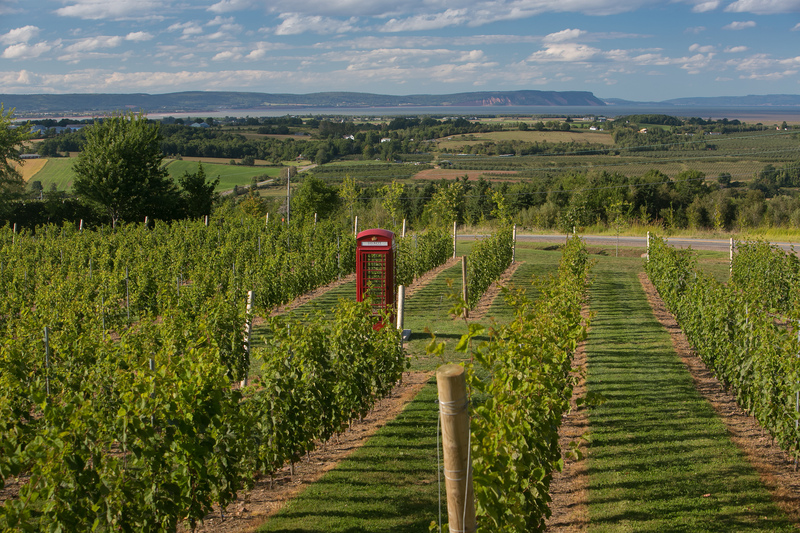 Spend the afternoon riding between wineries established here to take advantage of the unusually sunny microclimate and relatively recently discovered terroir. If water levels are high enough you can float lazily down the Gaspereau River atop an inner tube through apple orchards toward the sea. Otherwise you can climb to Lumsden’s Dam for a fresh water swim before resting in the university town of Wolfville. 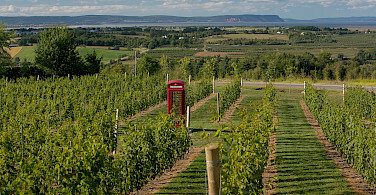 Ride through the Acadian dykelands and apple orchards with beautiful views of Cape Blomidon. 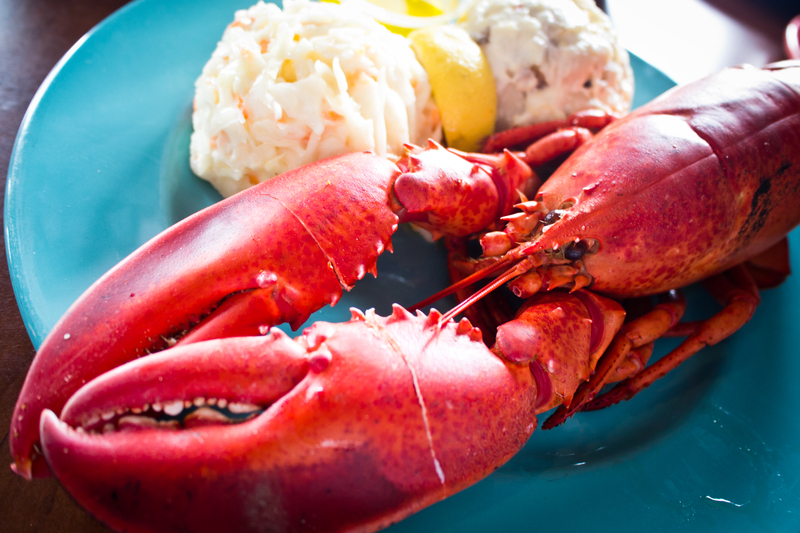 Climb over North Mountain, and descend to picturesque Hall's Harbour, where lobster can be purchased on the wharf for immediate enjoyment while you watch the astounding tidal flux. 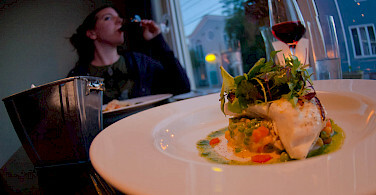 Return to Wolfville on quiet roads in time to choose from the many dinner options in a small university town setting. 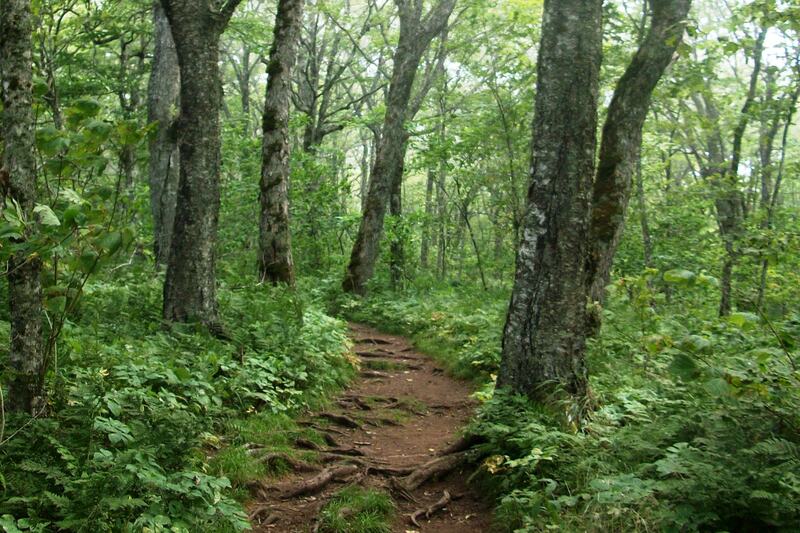 Optional alternative: A four hour hike takes you to Cape Split where you can wander along the precipices hundreds of feet above the Bay of Fundy, whose waters are transformed by strong tides into a tapestry of eddies, whirlpools, and white water currents. 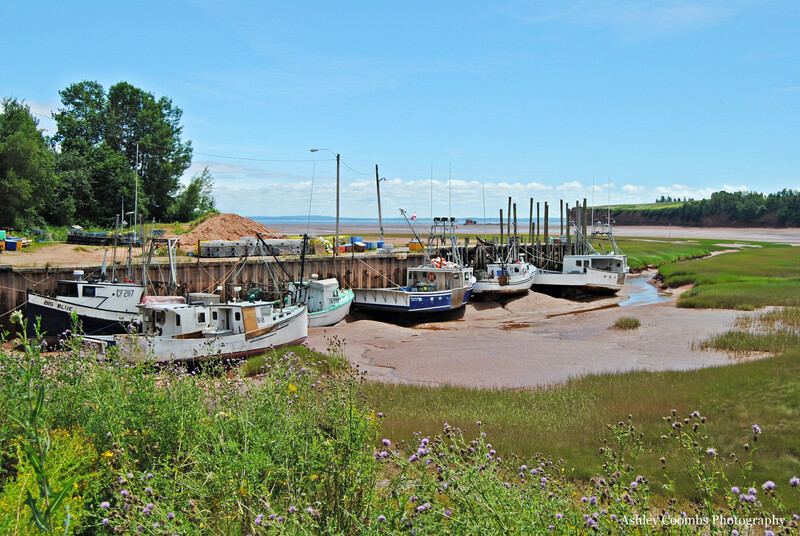 Enjoy a delicious lunch overlooking the expansive views of sea and sky before savouring the hike back to civilization and the choice of several excellent dining options in Wolfville. 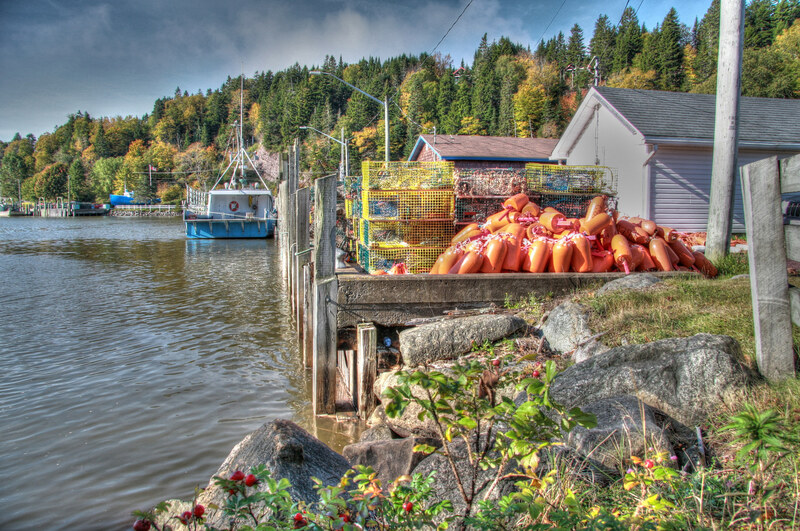 Transfer to the lighthouse at Port Medway, to begin riding of the best coastal rides in Nova Scotia. 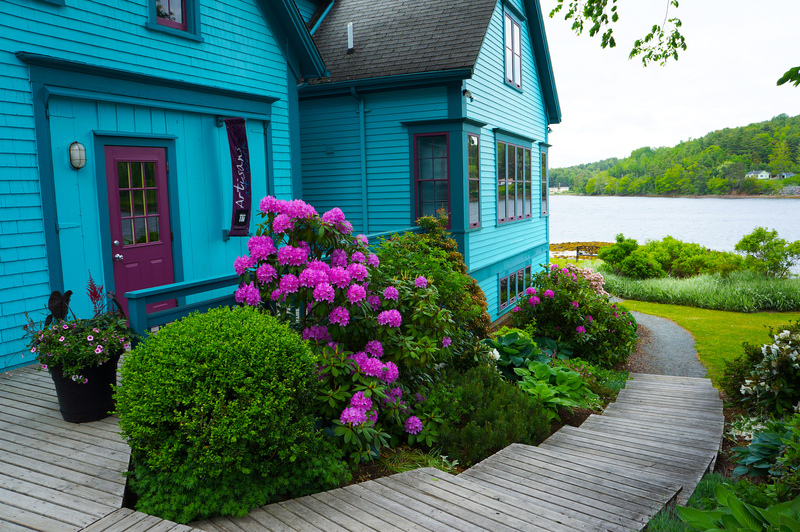 You will pass through several seaside hamlets: Mill Village, Broad Cove, Vogler's Cove, Little Harbour, Cherry Hill Beach, and Beach Meadows, and a ride out along Crescent Beach to the LaHave Islands – a microcosm of quiet coastal life, with an interesting and tiny marine museum. Finish cycling at the cable ferry on the way to Lunenburg. 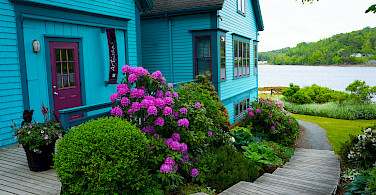 This is a beautiful ride to the sweet smelling LaHave Bakery, with side trips to the seacaves at The Ovens Natural Park, and the beautiful beaches near Kingsburg where you can also opt to explore a magnificent headland hike. 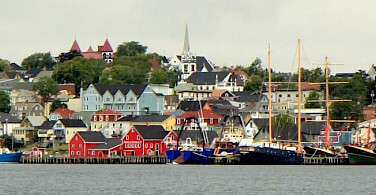 Return to Lunenburg this afternoon to explore more of this tiny but bustling shipbuilders’ town, a UNESCO World Heritage Site. If you prefer, a full day paddle, one of the best sea kayak experiences in Nova Scotia is available instead of cycling. You will meander through many islands, both inhabited and wild, and will be visited by dozens, maybe hundreds, of seals. There is a supplemental fee for the sea kayaking, and we need to know well ahead of time. Please tell us at time of booking. Day 5: Loop around Lunenberg, 32 mi. (51 km) Additional distance available. 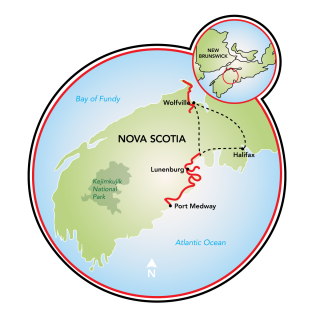 Enjoy a delicious breakfast and prepare for one of Nova Scotia’s most interesting rides, on our favorite stretch of coastal country road. The pavement seems built for bikes to follow the pretty coast. 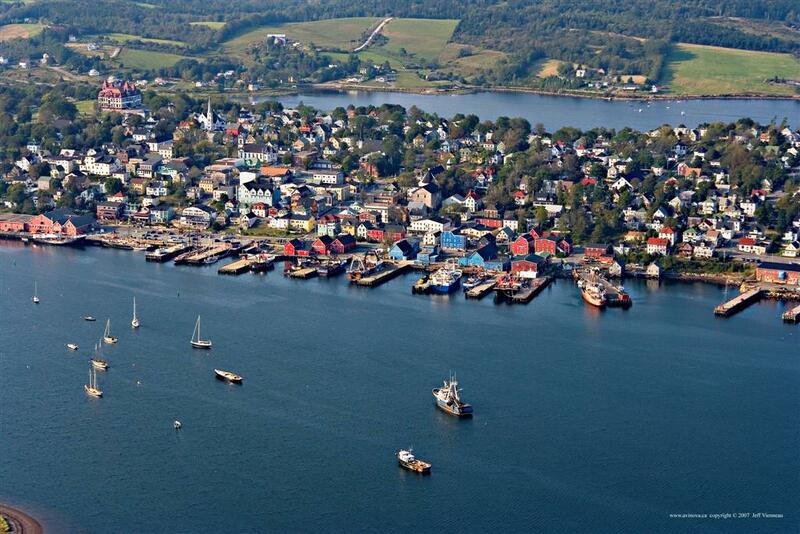 A mid-day highlight is the village of Mahone Bay, where there are hidden coffee shops, a great craft brewery, many proud artisans, beautiful boats, and a maritime village feel that makes one inclined to linger. Ride from Chester around the Aspotogan Peninsula, a famous route for local cyclists. 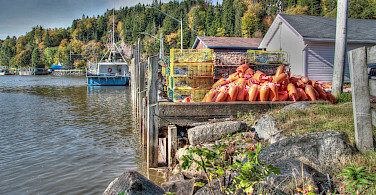 You will pass through traditional fishing villages of Blandford, Aspotogan, and Northwest Cove, and by the beach at Bayswater. You can make extra side trips to see where the biggest whaling station in Eastern North America used to operate in "New" Harbour; to gaze at the distant lighthouse on East Ironbound Island, and to see one couple’s fantasy, a fairytale castle that inspires myths and tales. An alternative today is a wonderful sea kayak experience around the headlands of the Aspotogan Peninsula, between Mahone Bay and St. Margaret’s Bay, a nice way to finish a week of activity, with a tail-wind paddle and a salty swim. 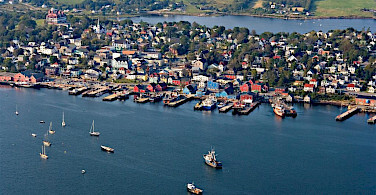 Finish with a transfer back to the seafront city of Halifax, home of one of the world’s largest natural harbours (second only to Sydney, Australia). 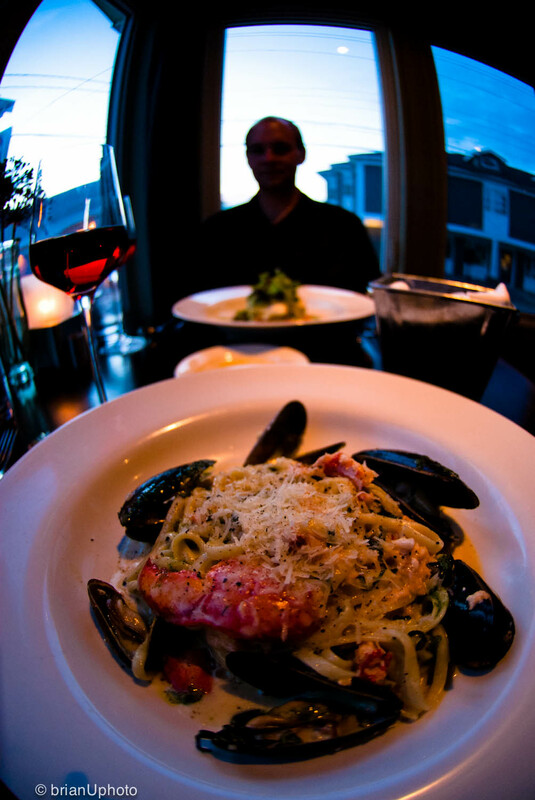 Consider booking an additional night after your tour. *Changes to the itinerary are possible! Take time to peruse our full list of bike tours in Europe or view all our featured bicycle tours, specials, and news. 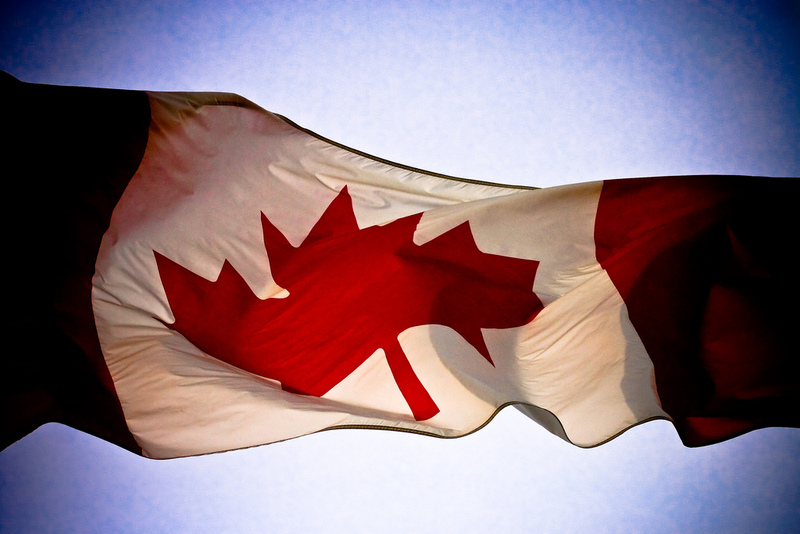 This tour is run by Freewheeling Adventures.